The power company was fined $139,000, and the “willful” violation of federal safety rules could be referred to the Department of Justice. 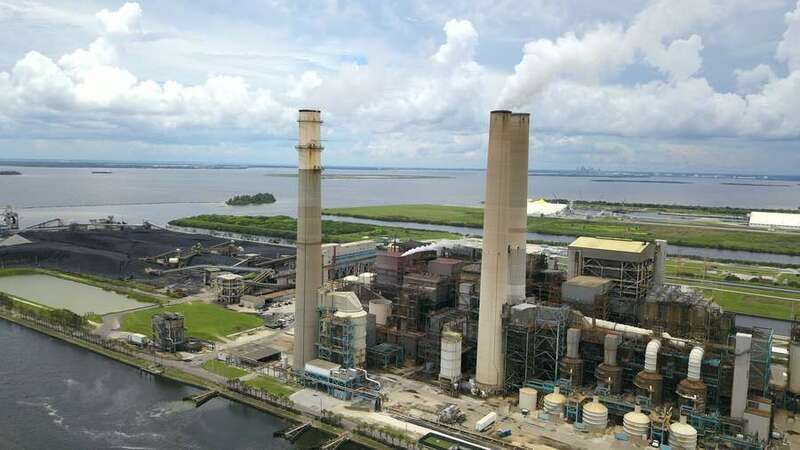 APOLLO BEACH — Tampa Electric ignored its own rules when performing a dangerous maintenance job at the Big Bend Power Station in June that left five workers dead, the federal Occupational Safety and Health Administration announced Thursday. OSHA gave Tampa Electric its most serious type of citation — a “willful” violation, given only when companies either intentionally disregard its rules or act with indifference toward employee safety — and a $126,749 fine. Because the citation was found to be willful, OSHA will review whether to refer the case to the U.S. Department of Justice to consider criminal charges, an OSHA spokesman said. Only one other Florida electric utility has received a willful violation since OSHA was established in 1971, records show. That penalty was later reduced upon appeal. “Willful is about as big a deal as OSHA gets,” said Jordan Barab, a former deputy assistant secretary for the agency. But, he added, criminal charges are rare, and only “a small handful” of people have ended up in jail after such findings. Read our investigation: Tampa Electric knew the procedure was dangerous. It sent workers in anyway. OSHA also gave Tampa Electric a “serious” citation and an additional $12,675 fine for failing to provide workers with the proper protective gear. The utility has 15 days to contest the findings. OSHA said its full report on the accident will not be published until after that period. In a statement provided to the Tampa Bay Times, Tampa Electric spokeswoman Cherie Jacobs said the company respected OSHA’s process and had fully participated in its investigation. “However, we respectfully disagree with the suggestion we were willful or deliberately indifferent to the safety of workers,” she said. Jacobs said Tampa Electric had not decided whether to contest the citations. A contractor involved in the accident, Gaffin Industrial Services of Riverview, also received a serious citation for failing to provide protective gear and for not having proper procedures in place. It was fined $21,548. Three of Gaffin’s top executives did not return calls for comment. In August, a Times investigation found that Tampa Electric had experienced a near-identical accident at a different plant in 1997, and wrote guidelines banning the procedure that caused it. But those rules were abandoned sometime before the June accident, allowing the dangerous maintenance job to proceed. On Thursday, Jacobs said the company has now permanently discontinued the procedure, which was also the subject of OSHA’s wilful citation. Over the last 20 years, more workers have died in Tampa Electric’s power plants than in those run by any other Florida electric utility, the Times found. Tampa Electric has had 10 deaths; the next-highest company has had 3. The June 29 accident killed senior plant manager Michael McCort, 60, and four contract workers: Christopher Irvin, 40, and Frank Lee Jones, 55, of Gaffin, and Antonio Navarrete, 21, and Amando Perez, of the BRACE Industrial Group, of Houston. BRACE was not cited or fined. Gary Marine Jr., a 32-year-old Gaffin employee, was seriously injured, but survived. He lost his stepfather, Jones, in the accident. Angela Rodante, an attorney representing Marine and Jones’ wife, said her clients wished to thank OSHA but declined to comment on the case’s specifics. The other victims’ families did not return calls for comments. The fatal accident happened at Unit 2, one of four coal-burning units on the Big Bend campus. Each unit contains a boiler 12 stories tall. When coal burns inside the boiler, it creates steam, which spins large turbines and generates energy. It also creates slag, a byproduct that looks like lava and can reach temperatures of more than 1,000 degrees. Slag pools at the bottom of the boiler and pours through a man-sized hole into a tank below. The tank is filled with water. It quenches the slag and turns it into hard chips that can be used for sandblasting or paving. But on June 29, Unit 2’s slag tank was blocked in two places: at the top where the molten slag enters, and at the bottom where the hardened slag sinks. In the citation it issued to Tampa Electric, OSHA wrote that the top of the slag tank had been at least partially clogged for 13 hours — meaning hot slag had been building up inside the unit for half a day, with nowhere to drain. The company’s rules dictated the unit should have been turned off after 6 to 8 hours, OSHA said. Instead, a team was assembled to remove the hardened slag accumulating at the bottom while the unit was still on. In interviews with the Times, Tampa Electric workers and the company described what happened next. The men opened a door at the bottom of the tank, drained the water, and tried unclogging the bottom with high-pressure water hoses. But before they could finish, the clog at the top burst. Thousands of gallons of slag poured down, burning them. McCort and Irvin died on the scene. 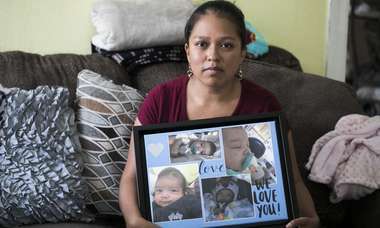 Navarrete and Jones died in the hospital the following week. 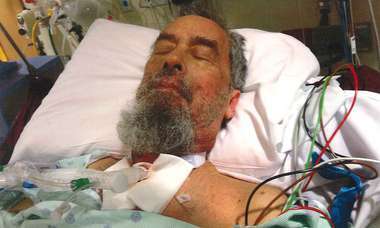 Perez died July 20. The Times investigation found that at least three Tampa Electric workers were injured while performing a similar job in 1997, and that later, the company decided it would not allow maintenance work on slag tanks while the boiler was running. At some point, however, those guidelines were abandoned. In 2015, the union complained that some its members had been asked to work on a slag tank with the boiler on, the Times found. Eleven power plant experts and operators told the Times that working at the bottom of a slag tank with the boiler online is dangerous. But it costs hundreds of thousands of dollars to turn a boiler off. OSHA also noted that the unit was running at full capacity as the workers performed the maintenance, despite internal policies that said the unit should have been turned down. The agency noted one way the company could have handled the simultaneous blockage. “Among other feasible means, one feasible means of abatement is to shut down the furnace/boiler when preventable slag tank clogging occurs and employees have to work in the area at the bottom of the slag tank,” OSHA wrote. 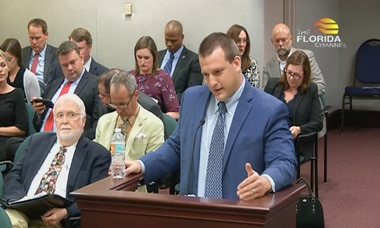 After the accident, Tampa Electric’s then CEO Gordon Gillette told the Times the company would not allow maintenance work with the boiler running until the OSHA investigation was finished. In late August, however, Tampa Electric’s union said workers at Big Bend had drained water and hardened slag out of a tank onto the plant’s floor while the boiler was still running. Tampa Electric acknowledged the work violated its policy, and said it planned to clarify its rules. Gillette retired Nov. 30. On Thursday, Jacobs said the company had made the policy permanent. Still, retired union leader Rick Coronado said OSHA’s punishment wasn’t enough.